If you’re hunting for a high-performing graphics card capable of playing games with few visual compromises at 4K resolution, or ultra-fast 1440p, then you should definitely consider the Radeon VII—especially if the sky-high $1,200 price tag for Nvidia’s GeForce RTX 2080 Ti scares you off. Don’t bother upgrading to this card if you already have a GTX 1080 Ti, though. The GeForce RTX 2080 and Radeon VII each cost $700 (though the overclocked Founders Edition we tested costs $800) and deliver similar real-world performance, though the Radeon VII lags slightly behind overall, and the frame rate differences are extreme in some games. 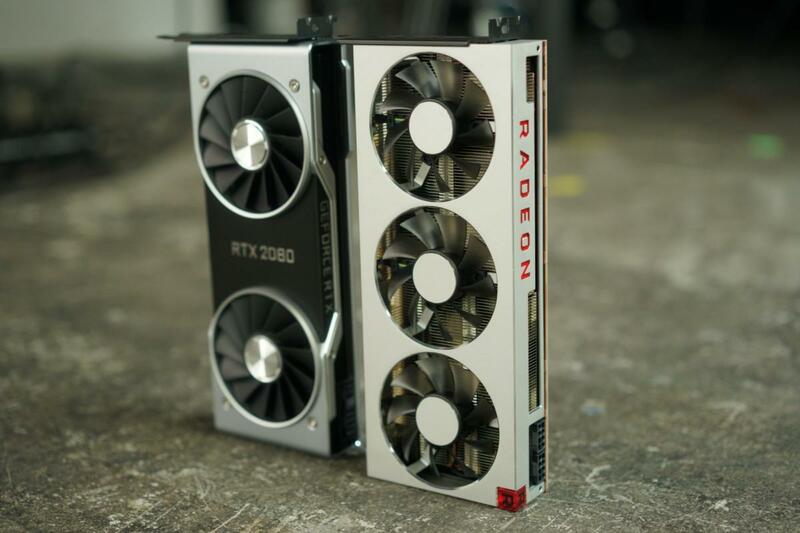 Radeon VII pounds the RTX 2080 Founders Edition in Strange Brigade, and the RTX 2080 pounds AMD’s card in Rainbow Six Siege and Ashes of the Singularity. Performance is a wash in most games, but the RTX 2080’s lead expands if you drop all the way down to an ultra-fast 1080p monitor. Nvidia’s GPU holds a small advantage in power efficiency and thermals as well, but the differences between the two cards are once again negligible. So what about the standout features of each? Nvidia’s recent FreeSync adoption eliminated a compelling reason to opt for Radeon cards over GeForce. Still, AMD loaded Radeon VII with some eye-catching extras. Radeon VII holds a small-to-large performance advantage over the RTX 2080 in the content creation benchmarks we tested—as expected, given how strong Radeon architectures have typically performed in compute workloads. One thing to consider though: Nvidia’s CUDA is much more popular for compute workloads than the OpenCL tools AMD relies on, and if you need to perform ray tracing, the RTX 2080’s dedicated RT cores could give that card a boost in ray tracing tasks. The massive 16GB of HBM2 blazing along at 1TBps is another huge win for Radeon VII, doubling up the RTX 2080 in both capacity and overall bandwidth. Such a potent memory configuration provides the Radeon VII with plenty of future-proofing in case 4K textures keep growing in size (as they likely will), and could give AMD’s cutting-edge GPU a leg up if you’re planning to edit videos at ultra-high resolutions, like 4K or 8K. Nvidia opted to push gaming into the future with its RTX graphics cards. Rather than loading them down with extra memory, Nvidia equipped the GeForce RTX 2080 and its brethren with dedicated RT and tensor core hardware than unlock real-time ray tracing and AI-enhanced gaming capabilities that the Radeon VII simply can’t match. Then again, developers haven’t rushed to roll out RTX technology. While more than 20 games have pledged to support real-time ray tracing or Nvidia’s Deep Learning Super Sampling, you can count the number of games that actually do right now on one hand. The GeForce RTX 2080 Founders Edition also runs significantly quieter than the Radeon VII. If you create high-resolution videos when you’re not gaming, you might want to opt for the Radeon VII over the GeForce RTX 2080. If you’re simply a gamer looking for a killer 4K or 1440p gaming experience, your choice boils down to which graphics card offers the better future-proofing option: the Radeon VII’s 16GB of ultra-fast memory, or the GeForce RTX 2080’s nascent ray-tracing and AI hardware? Pick your poison, but don’t sweat it too much, because you can’t go wrong with either of these cards. The Radeon VII is a winner, even if it isn’t an outright GeForce killer. That said, it is a bummer that two long years after the GTX 1080 Ti’s release, the modern successors from Nvidia and AMD each deliver comparable performance at the exact same price. Each comes loaded with cutting-edge hardware to justify the cost, but fingers crossed graphics card pricing returns to sanity sooner rather than later. 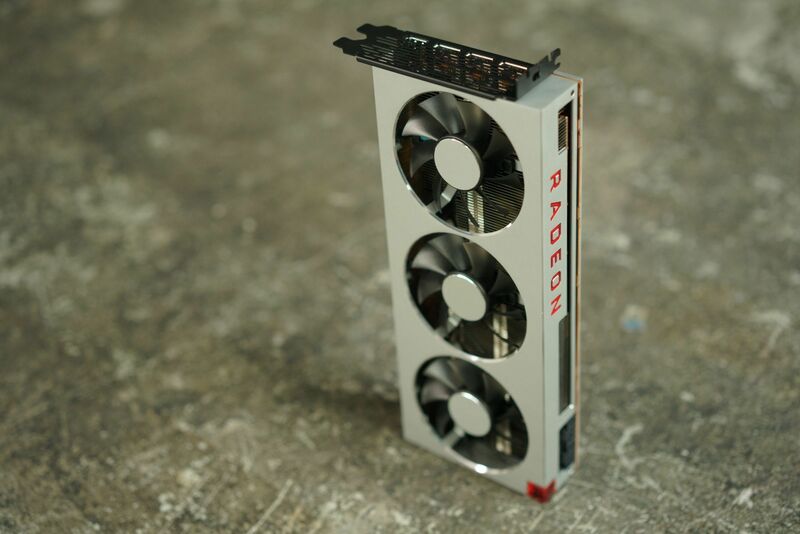 This story, "Radeon VII review: AMD's cutting-edge return to enthusiast gaming" was originally published by PCWorld.